13. Five Lay Redemptorists, representing the Conferences were present at our Chapter. We recognized in them the richness of our charism, which the Lord gives to the Lay Persons so that a prophetic word and presence can exist in the world. We feel called to build the Reign of God together with the wider Redemptorist family, formed by the Order, many Congregations and Associations with whom we share our charism. 11. Office for shared mission with the laity. A permanent Office for shared mission with the laity will be created at the level of the General Government and a Commission for shared mission in each Conference. This Office, assisted by the Conference Commissions, will prepare a Directory which will describe the profile of the lay Redemptorist, in all its diverse expressions. It will delineate clearly the duties, rights, responsibilities, and levels of incorporation. The Office, with the help of the Conference Commissions, and the General Secretariat for Formation, will also produce a Ratio formationis for the preparation and formation of both lay partners and professed Redemptorists for shared mission. The Office has been established, the Directory is well on the way to being developed (it will be presented in draft at the mid-sexennial meetings), and the Ratio formationis will follow immediately. But what exactly is “Partnership in Mission”? What are its roots in Redemptorist history? And how can this deep-rooted vision of a “Redemptorist Family,” together proclaiming the Good News of plentiful redemption in a wounded world breathe new life as we move forward? Redemptorist life has never been possible without the support and encouragement of lay people– associates, benefactors and friends. As we Redemptorists have touched and changed the life of the Church, so we have been touched and changed by the people with whom and among whom we have been called to minister. 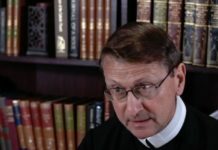 In every place and at every stage of our history– from the time of St Alphonsus and the “Evening Chapels,” to the ministry of St. Clement Hofbauer in Warsaw and Vienna, to the many and varied expression we see today– we have looked for ways of joining with lay women and men in mission to more effectively proclaim the good news of plentiful redemption to those who most need to hear it. We now understand “Partnership in Mission” to be an umbrella term, under which we find many forms of association. It takes all of us– Professed Redemptorists—priests, brothers and students, Lay Missionaries of the Most Holy Redeemer, Redemptorist Laity/Associates and the many forms of Lay Collaborators—to proclaim the Good News to all corners of the world in which we live. Professed Redemptorists experience privileged moments of encounter, and lay partners in mission have networks and spheres of influence in the world of family, work and civic involvement, opportunities through which they bring the Gospel to life and facilitate encounters with the Redeemer. From the Final Document of the XXI General Chapter (1991) to the present, there is consistent thread of documents that describe the “Redemptorist Family,” comprised of professed Redemptorists, priests, brothers and students, Lay Missionaries of the Most Holy Redeemer, Redemptorist Associates and Lay Collaborators. All are Partners in Mission. 19. In order that missionary work may develop and be really successful, adequate knowledge and practical familiarity with conditions in the world are essential as well as co-operation within the Church. For this reason the members of the Congregation confidently engage in missionary dialogue with the world. In a spirit of brotherly concern they should try to understand people’s anxious questionings and try to discover in these how God is truly revealing himself and making his plan known. 40. Shared Mission with lay men and women is essential to the mission and apostolic planning of the Congregation today. However, it is not an ‘Apostolic Priority’ as such, but rather a means to carry out our apostolic priorities more effectively. Beginning with the 21st General Chapter (1991), the Congregation of the Most Holy Redeemer officially recognized the importance of genuine collaboration with lay men and women in mission on the basis of partnership. 03. Our Congregation from the beginning has always been close to the people, particularly the poor and abandoned, and has always sought collaboration with the laity in its apostolic work. It will be sufficient to recall, for example, what Alphonsus accomplished with the ‘evening chapels’ in Naples to realize how much he had at heart this nearness to and sharing with the abandoned and with what constancy he endeavoured to adapt to simple people in all his missionary activity and writing. St. Clement, especially during his period in Vienna, always sought to associate with the laity and to involve them in his multiple apostolic works so as to have a more profound and lasting effect on the European society of his time. 11. The Collaboration is to be so planned that the Redemptorists and laity are effectively co-workers in the evangelization of the poor. Its realization should always be marked by real co-responsibility and sincere mutual respect. The objective to be attained is “the Redemptorist family” demonstrated at different concentric levels of belonging. St. Alphonsus Liguori, founder of the Redemptorists, believed that mission gives unity to Redemptorist life. Constitution 1 of the Redemptorist Constitutions and Statutes calls this unifying force the “vita apostolica” (apostolic life): comprising “at one and the same time a life specially dedicated to God and a life of missionary work”. 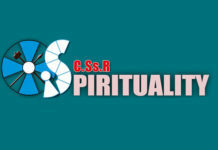 Constitution 1 continues: “The Congregation shares the mandate given to the Church … which is missionary of its very nature.” The origin and source of Redemptorist spirituality is found precisely in the Redemptorist mission, hence Redemptorist spirituality is a truly missionary spirituality. 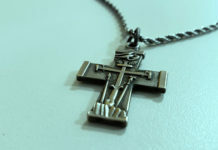 Redemptorist spirituality is not only for Redemptorists; it is shared by many lay people who are connected to Redemptorists in various ways. Redemptorists do not journey alone. The Redemptorist charism is a treasure to be shared with others. What have been some of your positive and life-giving experiences of Partnership in Mission? How can you envision this expansive vision of Partnership in Mission opening new possibilities for Redemptorist mission? How are the lay faithful in our Redemptorist family being formed “so that they may find new ways to make the Redemptorist mission and charism and Alphonsian spirituality present in the world”? How are professed Redemptorists being formed for partnership in and for mission? ONE BODY is a monthly text of prayer proposed by the Center for Redemptorist Spirituality. This issue was written by Anne Walsh – Director of Partnership in Mission (Redemptorist Conference of North America). For more information: Fr. 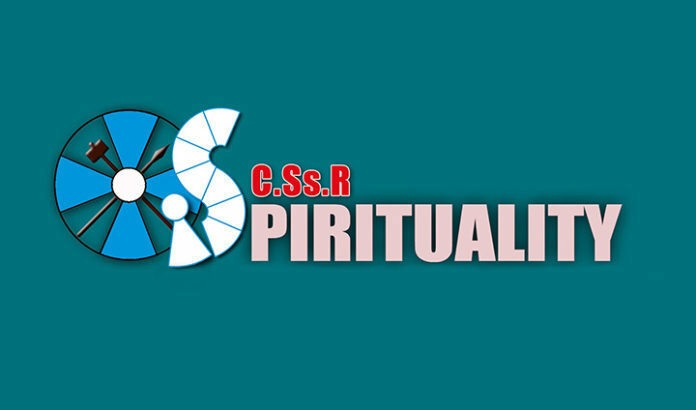 Piotr Chyla CSsR (Director of the Center for Spirituality – fr.chyla@gmail.com).